When it comes to comedy, very few directors and screenwriters are capable of putting out top tier work that impresses both critics and the movie-going audience consistently. However, one filmmaker that has seemed to crack the code of repeated success is Peter Farrelly – an American director best known for directing and producing There’s Something About Mary, Stuck On You, Dumb and Dumber, Shallow Hal and Me, Myself And Irene. 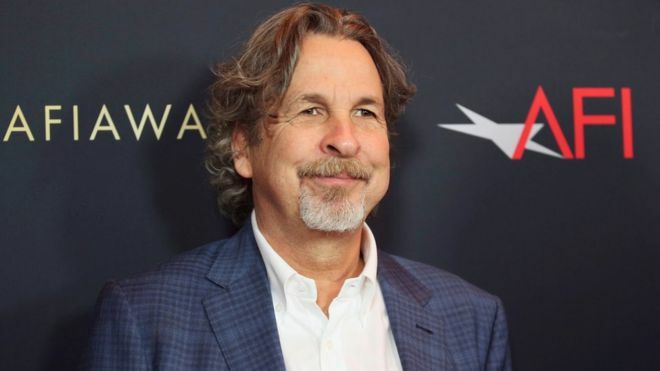 Though Peter Farrelly is mostly known for his work in comedy, he has also proven to be well versed in other genres of entertainment over the years. In 2018, he directed the critically acclaimed biographical drama film, Green Book, which went on to win several distinguished awards in entertainment. Keep reading to learn more about the highly esteemed producer, director, and screenwriter. On the 17th of December 1956, Peter John Farrelly was born in Phoenixville, Pennsylvania to Mariann Farrelly, a nurse, and Robert Farrelly, a doctor. Though he was born in Phoenixville, he was raised in Cumberland, Rhode Island. For his education, the future filmmaker attended Providence College and Kent School where he graduated from in 1975. After deciding to pursue writing full time, he quit his job and relocated to Massachusetts where he worked as a waiter while waiting for his big break. While waiting tables one day, Peter Farrelly struck a conversation with a customer who happened to be a writing professor from the University of Massachusetts, Amherst. The professor encouraged him to apply for the graduate programme and to Peter’s surprise and delight, he was accepted into their writing programme. He later transferred to Columbia University where he became interested in screenwriting and ultimately directing. The decision to become a director stemmed from the fact that several of his film scripts which he sold were never produced. Needless to say, that was a career decision that worked out very well for him in the end. In 1996, Peter Farrelly got married to the actress, Melinda Kocsis. Since tying the knot, the couple has kept a notably low profile and as a result, are never seen in the gossip pages of entertainment magazines and tabloids. By all accounts, Peter and Melinda have remained blissfully happy since tying the knot on the 31st of December 1996. Peter and Melinda have two children who also keep low profiles like their parents. Thanks to his highly successful career, Peter Farrelly has built up an impressive net worth over the years. After directing and producing several high grossing films, he currently has a net worth of $40 Million. This amount is not entirely surprising when you consider the fact that Peter’s career has been an instant hit right from his debut in 1994. Peter Farrelly’s debut film, Dumb And Dumber, which he co-wrote and directed was released on the 16th of December, 1994. The film which starred Jim Carrey and Jeff Daniels grossed a total of $247.3 Million against a budget of $17 million. Since its release, the film gained a cult following which eventually led to a 2003 prequel and 2014 sequel. While Peter Farrelly has definitely made a name for himself as a filmmaker, director, and scriptwriter, he is also a published author. The fact that Peter has two books to his name constantly surprises even his most devoted fans. His novel, Outside Providence, which is semi-autobiographical, was published in 1988. It was later adapted into a film in 1999. Peter’s second novel, The Comedy Writer, was released in 1998. Like Outside Providence, the second novel bears many similarities to Peter Farrelly’s life as an upcoming comedy writer in Hollywood. Peter Farrelly is one half of the filmmaking duo known as ‘the Farrelly Brothers’. For most of his creative projects, he has worked alongside his younger brother – Bobby Farrelly, as co-writer and co-director. The brothers worked together on Shallow Hal, There’s Something About Mary, Stuck On You, Dumb and Dumber, Kingpin, Me, Myself & Irene and quite a few more. 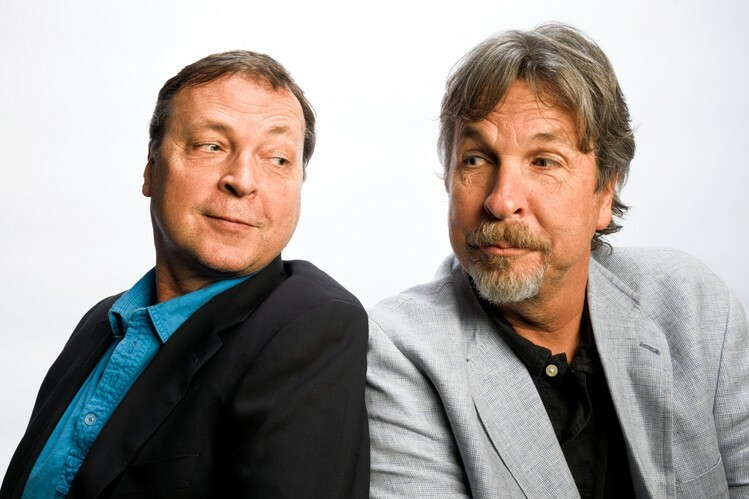 Despite repeatedly working together on most of their projects, they have also both undertaken individual projects such as Peter’s involvement with Green Book and Bobby’s involvement with the TV show, Trailer Park Boys.